i) The rate of commercial failure of a innovative idea is very high (90–94 out of 100 proposals for innovation undergo substantial failure in the EU and in the USA). ii) Low reliability in the long run and sensitivity to usage conditions are the factors that determine the failure of the innovation. The definition of an iterative design activity is an objective that can be reached by subdividing the complex innovation process into "short" steps in experimental statistics research. 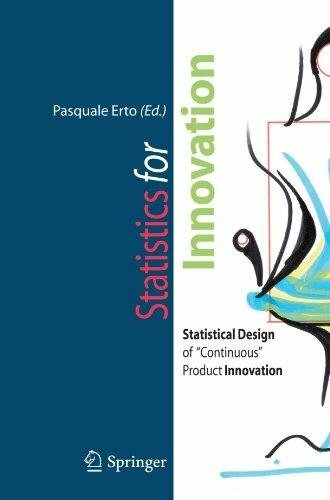 The approach adopted to analyze customer needs and the tools used to reduce unwanted variability form the framework for the statistical design of "continuous" product innovation. Starting from the observation that product innovation is achieved when a "quality" that is able to satisfy a new customer need is conferred on the product and survives over real operating conditions and time, this book illustrates the operative steps required to perform the whole innovation process iteratively.